Sunday services are focal points of a united religious community. Scientology services additionally offer workable truths parishioners and visitors can thereafter apply to improve their lives. By participating in these services one can further come to experience the truth of his existence as an immortal soul. That is the message of inspiration and hope each person leaves with after attending a Scientology Sunday service. The Church of Scientology Sunday service consists of a reading of the Creed of the Church of Scientology, a sermon based on the writings of the Scientology Founder L. Ron Hubbard or the playing of one of his recorded lectures. Churches also feature the ministration of Scientology spiritual counseling in which the entire congregation participates as well as announcements of Church events and programs. Services always conclude with a prayer. 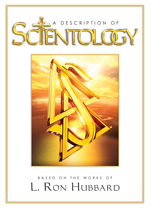 Every Sunday service begins with the reading of the Creed of the Church of Scientology. This document affirms the spiritual aims of the Church, reiterates the Church’s social mission and affords members an opportunity to rededicate themselves to the religion. Scientology holds that Man determines his own spiritual future through the principles and practices contained in the scripture of the religion, his actions towards others and his observance of the rules of conduct as articulated in the Creed of the Church of Scientology. Consequently, the Sunday sermon typically addresses a topic related to an important Scientology principle or practice and explores its relevance to everyday existence. The minister’s ultimate goal is for each member of the congregation to leave the Church with a greater level of spiritual awareness as a result of the truths partaken in the service and an increased understanding of how to apply these truths to his or her life. Born in the twentieth century, Scientology is unique among the major religions of the world in that all of its scripture is faithful to the Founder’s original written and spoken words. These words have been preserved exactly as authored and spoken—and always will be—thanks to the technology available in this era. L. Ron Hubbard delivered more than 3,000 lectures world over. 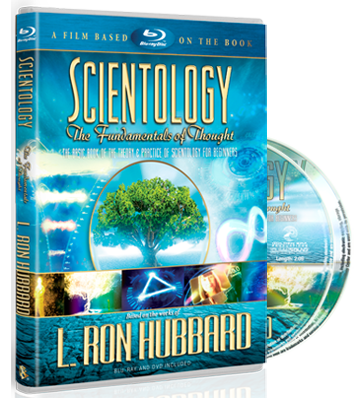 These lectures detailed his discoveries and the research path he walked, and many address Scientology fundamentals. Often one of these lectures is selected and played at the Sunday service. Spiritual counseling, known as auditing (from the Latin audire, “to hear or listen”), is the central Scientology religious practice. Thus it is only natural that auditing is an integral part of every Sunday service. The minister acts as the auditor for the group, ministering auditing services particularly suited for groups and aligned with the intended sermon of the day. Group Auditing consists of a command (direction) or series of auditing commands which can increase awareness and put one in better communication with one’s environment. Most importantly, these help individuals free themselves from adverse material influences of the physical universe and so become more able to regain their own spiritual awareness. As Scientologists are actively committed to the practice of their religion, including fulfilling Scientology’s goal of making this world a better place, many of those attending the service participate in the community outreach and benevolent activities for which Scientology Churches are renowned. Part of the minister’s duties, then, is informing the congregation of ongoing community programs in which the Church is participating and engaging members of the congregation to contribute. The Sunday service is concluded with a reading of the Prayer for Total Freedom.